Always find yourself looking for your TV remote? Looking for a way to make it easy to find your TV remote every time? Meet Pillow Art’s newest product: the 15″x15″ Pocket Pillow. With 3 handy pockets sewn into the back of your photo pillow, you’ll have a convenient place to always put your TV remote. Best of all, these pockets are hidden at the back of your pillow. 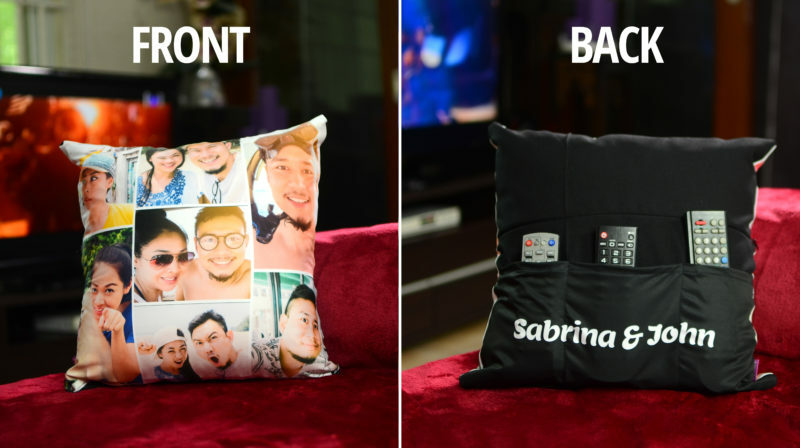 From the front, you’ll see an ordinary customized pillow with your photos. Reach in on the back side of your pillow, and you’ll find your 3 pockets for your TV remotes tucked away hidden from view. The Pocket Pillow is a great way to decorate your room and keep it organized at the same time. If you’d like to order your own Pocket Pillow, visit the Pocket Pillow product page here. This entry was posted in Blog and tagged pocket pillow, pockets, tv remote.